Additional Info: Hair dryer, ironing table. 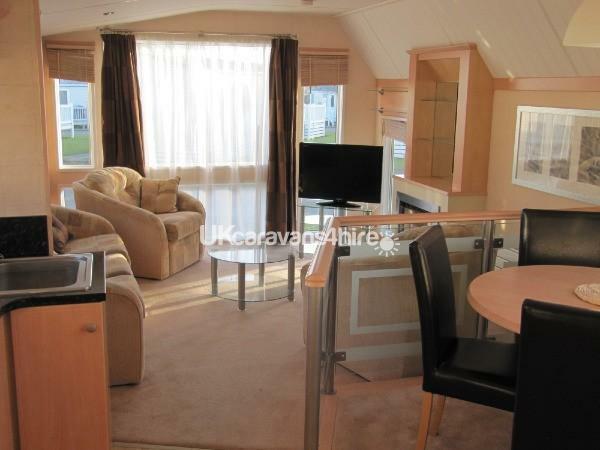 This is a modern open plan Atlas Expression 4 berth caravan located on Highland View (H56) at the popular, 5 star Shorefield Country Park at Milford-on-Sea in Hampshire, with parking at the front and a large veranda. The caravan has gas central heating and double glazing. 1 double bedroom with an en-suite bathroom consisting of toilet, basin and bath with shower and plenty of cupboard space. 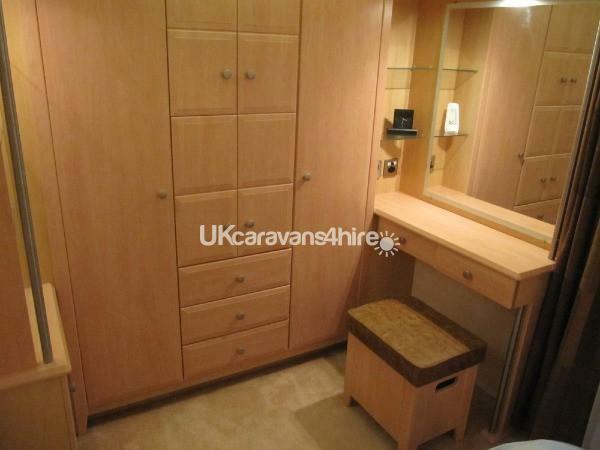 1 twin bedded room with overhead lockers and plenty of cupboard space. There is a family bathroom consisting of toilet, basin and walk-in corner shower unit. All bedding, towels and tea towels are included. The lounge has a 3 seater sofa with 2 armchairs around a drinks table, a TV/DVD player and gas fire. The kitchen comes fully-equipped with a gas cooker, integrated fridge/freezer and microwave oven. The dining area consists of a table and 4 chairs situated to one side of the kitchen. Pet friendly caravan and surroundings. Smoking is NOT permitted in the caravan at any time. The 5 Star Shorefield Country Park caters for families and couples of any age. Guest passes for the facilities are available to purchase from reception. Situated in the local area you will find beaches within 800m, a nature reserve, fishing, gold, cycling, walking, a Norman castle and the New Forest. Not too far away is Christchurch, Bournemouth, Poole, Sandbanks, Highcliffe Castle, Isle of Wight, Beaulieu, historic Portsmouth and Goodwood. 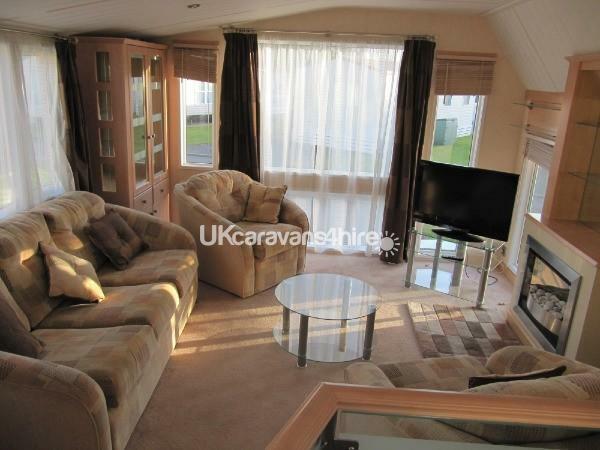 We have another 2 bedroom caravan on Shorefield Country Park, please see advert Ref: 3430. 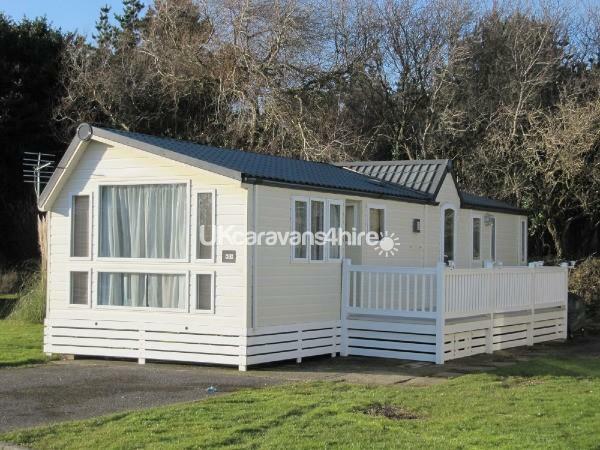 We also have two luxury Sheraton caravans at Oakcliff Holiday Park in Dawlish Warren, Devon. 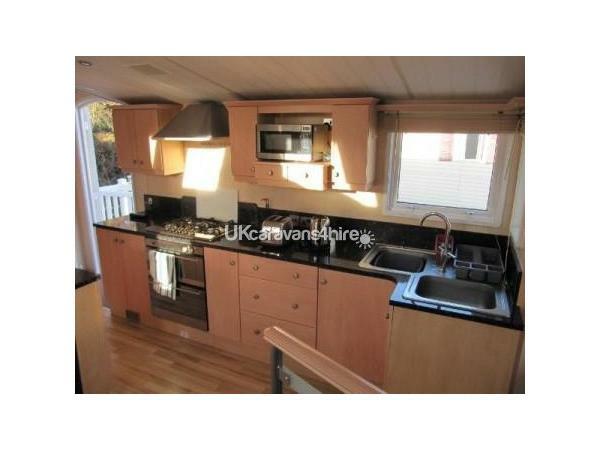 Property Ref: 3761 and Property Ref: 2868 on ukcaravans4hire.com. 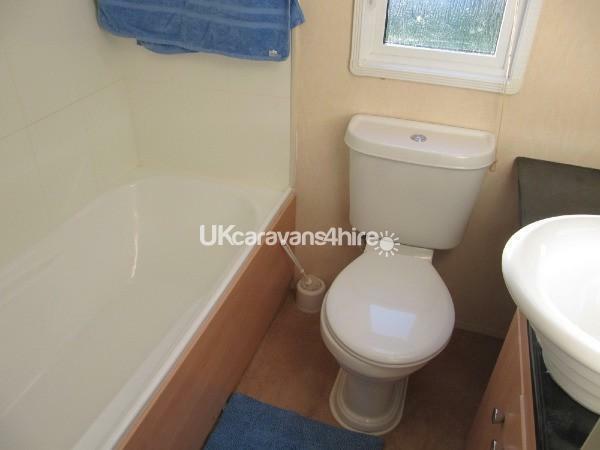 lovely caravan in a very nice quiet location on the park. Close to the facilities ,pool ,shop etc . Van is spacious , very clean and well equipped . it is nice to have proper sofa and chairs as they are much more comfy than the usual bench type seats . also nice big tv for evenings in. You will not be disappointed with the price compared with the cost the park usually charge . We brought entertainment passes at the park only cost £50 for the whole family so we could use the pool and facilities . give it a try ! Have recently returned from a really great short break holiday here. 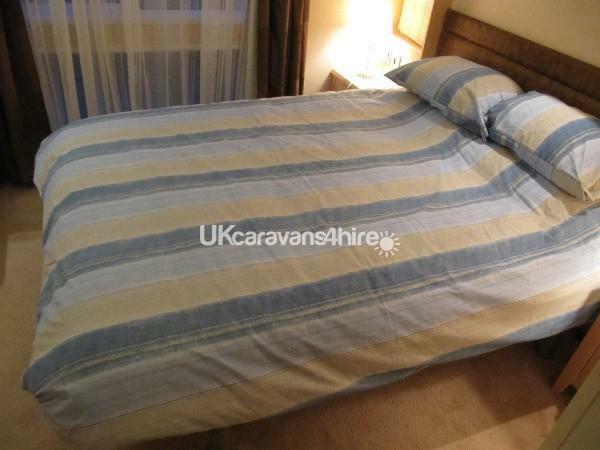 The caravan was very clean, light, spacious and very comfortable and had everything you need. Having 2 bathrooms was a bonus as no holdups when getting ready to go out exploring in the morning or getting ready to go to the club in the evening. The location was good for getting to all amenities on site but was based in a very quiet area of the park to enable a peaceful nights sleep. We would highly recommend this caravan and park and hope to return again ourselves sometime soon. Excellent caravan. Very spacious and well fitted. Heating excellent. 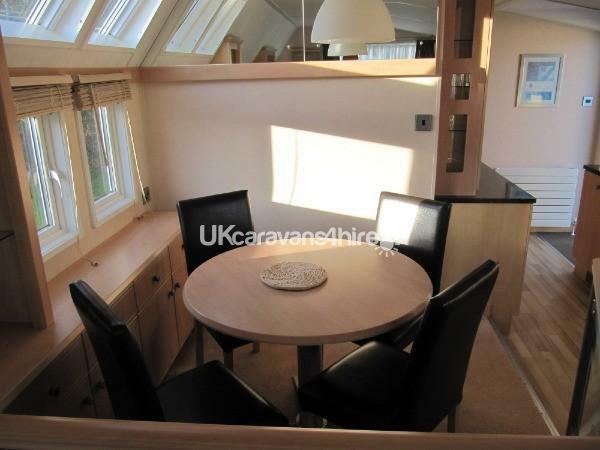 Bright and spacious with roof windows over dining area. The leisure pass for the park was good value for the week. A real home for home. Mike was very helpful by email. This caravan was presented excellently. It's location is great both on the site and the region. 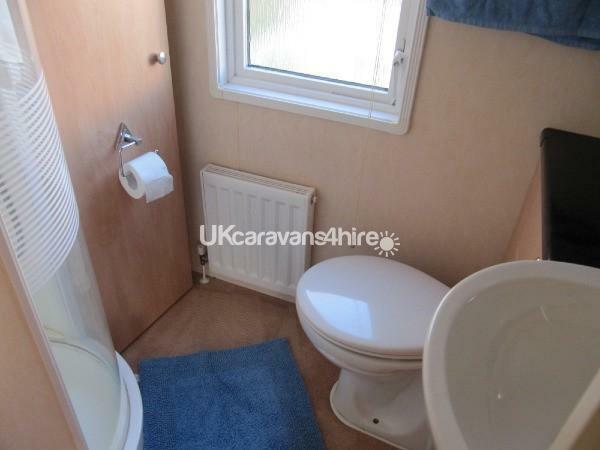 The facilities and furnishings are so good you struggle to believe you are in a van at all. We had a slight issue of human error on arrival, but Mike sorted us out straight away. I would select 9.5 on cleanliness if I could as actually I've never stayed in accommodation as clean as this before. The site is great too with a well stocked shop, but then Lidl and Tesco are 5 mins up the road. The dog walk is fantastic, as are the local beaches, nearby New Forest and so much more. We only live 50 minutes way but we will definitely be back soon. The caravan was very clean, light and spacious. we took our teenage daughter and dog. We found the site ideally situated for Bournemouth, Poole and Milford's own beach, which was a short walk through a lovely wood. 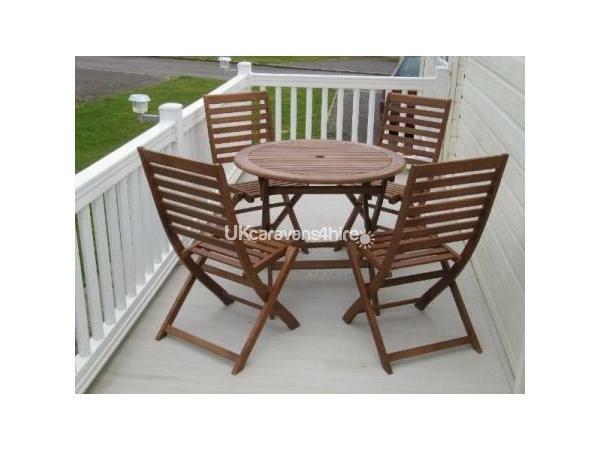 The caravan park itself was very clean and tidy with very helpful staff. There is a spar shop situated on site , but there is a Tesco superstore just up the road. We will definitely return in the future. Excellent base to explore Hampshire/Dorset area. Lovely warm caravan. Very quiet, you don't hear a sound in the evenings. The woodland walk to the beach and local village was beautiful. Great location in the park for all the facilities. Lots of lovely big mirrors in the caravan which make it feel very bright. Lots of storage space. Lovely beach close by, great for children and dogs. Would definitely stay in this caravan again. This was an ideal place for a week's holiday with 2 young children (age 2 and 6). 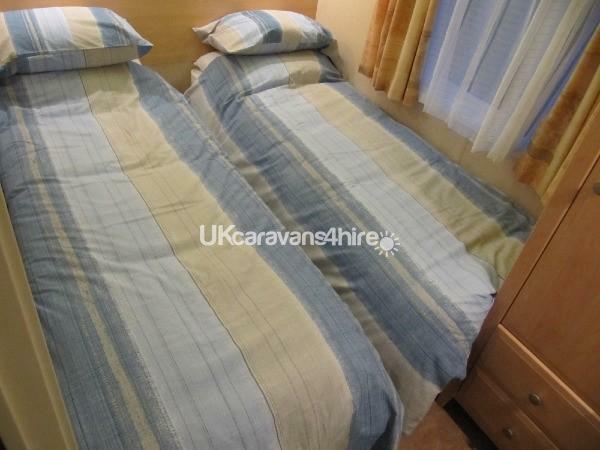 The caravan was very comfortable, child friendly and perfectly located for the park's amenities. The booking was very easy and we are hoping to stay in this caravan again in the future. Would recommend highly. Very smooth booking experience. 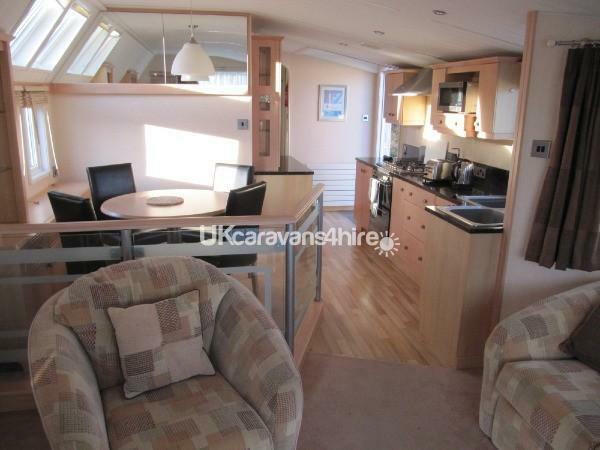 Lovely bright, warm, immaculate caravan, a real 'home from home'. It is sited in a wonderful location close to the excellent facilities. There is a footpath to the sea, so no packing the dog in the car. Recommend the pretty woodland walk which takes you through to the local village. We had such a wonderful week that we have already booked to come back again later this year.